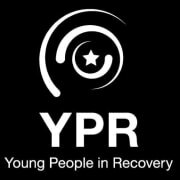 Young People in Recovery (YPR) envisions a world where everyone can access the necessary resources to recover from substance use disorder. YPR’s mission is to provide the training and networks all individuals, families, and communities need to recover and maximize their full potential. Visit the YPR website at www.youngpeopleinrecovery.org for additional information. YPR chapters are local groups made up of volunteers that host free workshops in their communities focusing on housing, education, employment and recovery messaging, which means ways in which to talk about your recovery to break the stigma around substance use disorder. YPR chapters also host activities like all-recovery meetings, athletic events, community service projects, and other substance-free activities where young people in recovery can get together and just have fun and meet other young people who are also in recovery. Finally, they also advocate for more recovery resources on the local, state and national levels. Would you recommend YOUNG PEOPLE IN RECOVERY- Oakland?